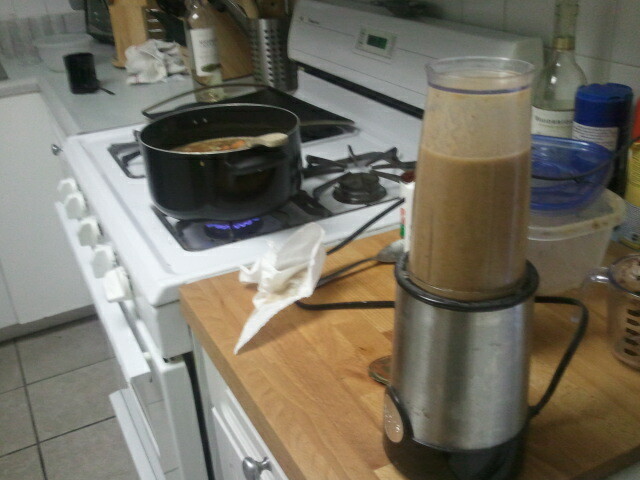 Cooking a week's worth of meals in one night. 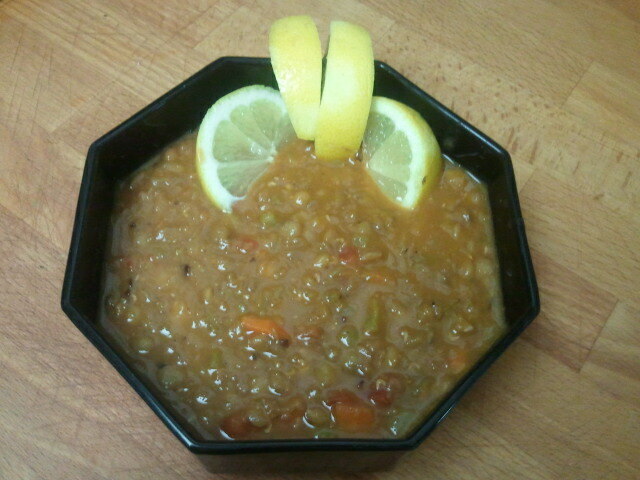 Lentil Left Overs: Lentil Soup! 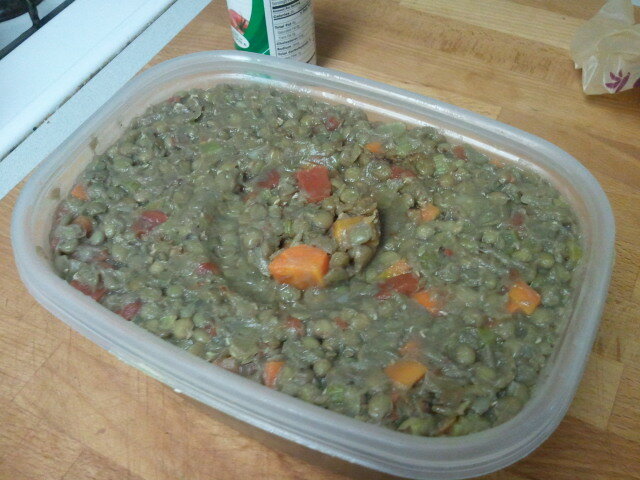 There is a famous saying: When life gives you lentils, make lentil soup. It even has healing powers. It was really easy to turn our lentils into delicious soup. First, dump the leftovers into a pot. They may look slightly undead, but unlike zombies they make fantastic soup. 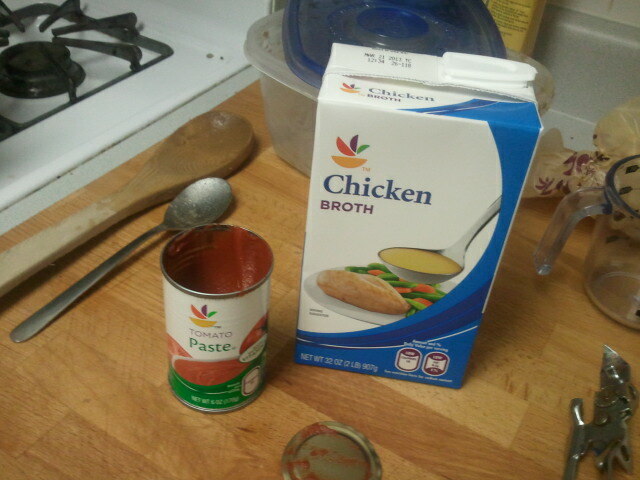 Then add tomato paste, one box of chicken broth, cumin (to taste), and salt. Once the vegetables are cooked through (they weren’t quite done in our original lentil dish), take out a bit of the soup and blend it together. I’m not sure why you are supposed to do this step – but I promise it is vital to the whole magical process. Because I am now a culinary genius (though I had to look up how to spell culinary), I thought a little lemon zest and juice would make the soup even more scrumptious (that I know how to spell). In about 20-30 minutes, I had lentil soup! 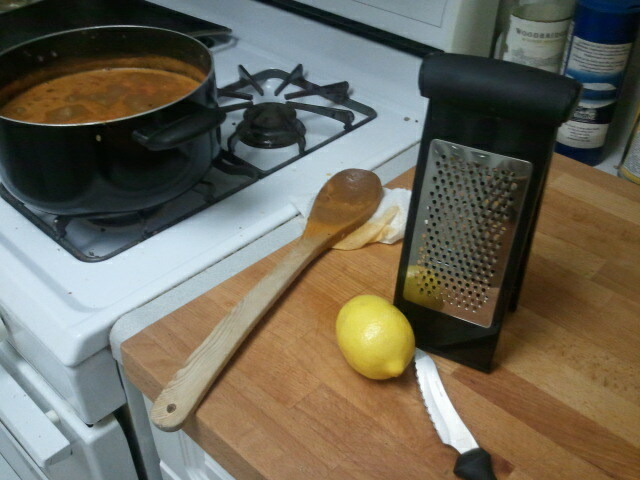 After ladling it into a bowl, I added even more lemon juice (Seriously, is there a thing called lemon soup? If so, I would probably eat it every day). For me, this week included a good Sunday meal and AMAZING leftovers! Homemade Pretzel Dogs: No Chopping Needed! Bacon and Potato Potpie: Pie Day Extravaganza!